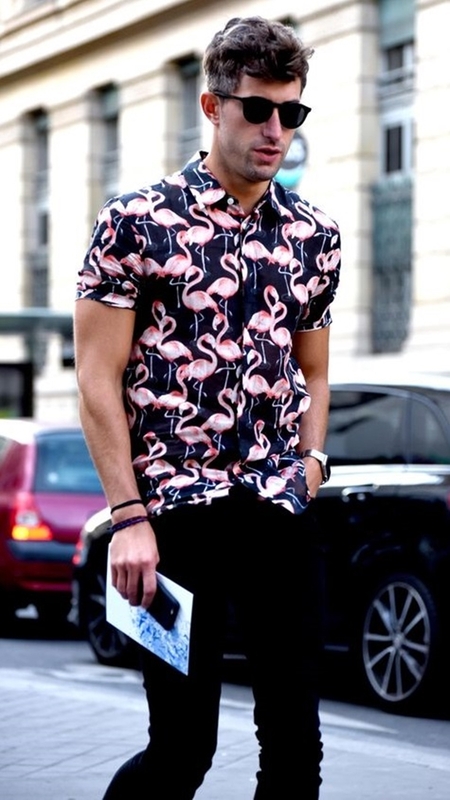 Summer is fully here and if you have not updated your wardrobe yet, then you really need to hurry up. Because there’s no way you would survive this heat with your woolen suits or sweaters. Just the thought makes me sweaty! 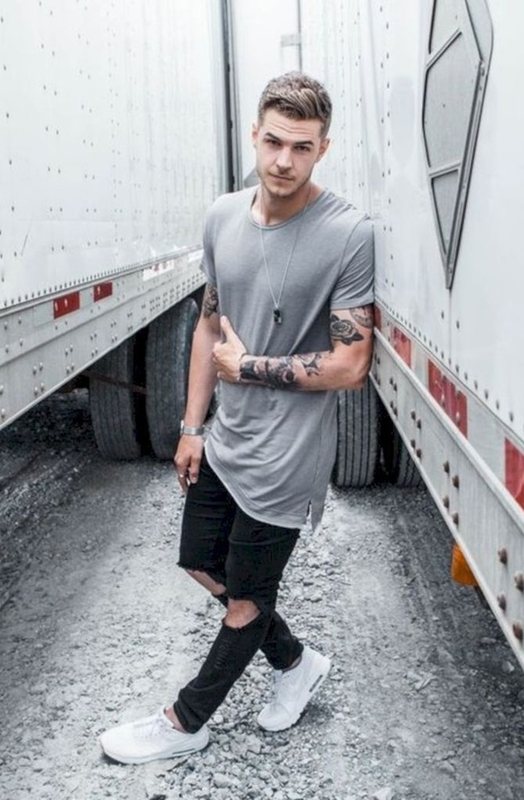 In summer you need clothes that are cool and comfy and the ones that look dashing on you. 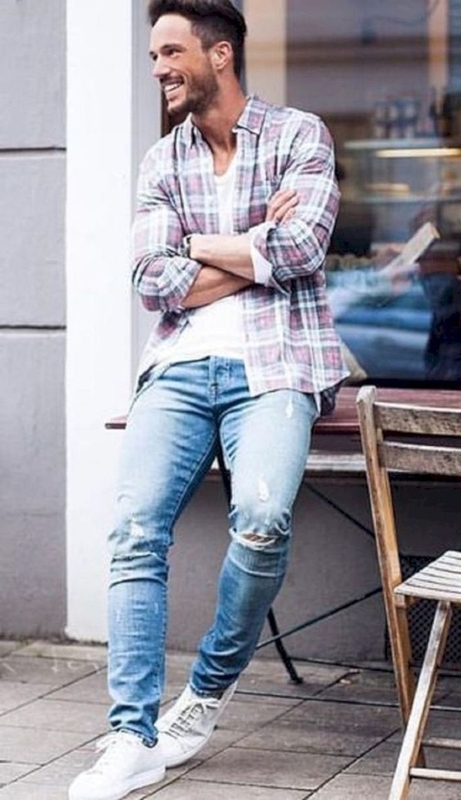 And when it comes to street style, you need casual outfits that will create a playful aura around you. So here are the Coolest Street Style Looks for Summer 2018. You can’t go strolling around on the streets with a suit on. Nah-uh, that will be a nightmare in this heat. 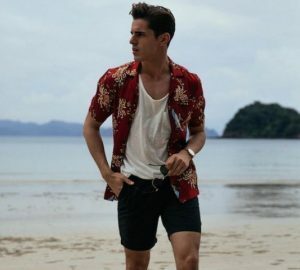 What you need is to update your wardrobe with these street style clothes that will beat this heat in style. 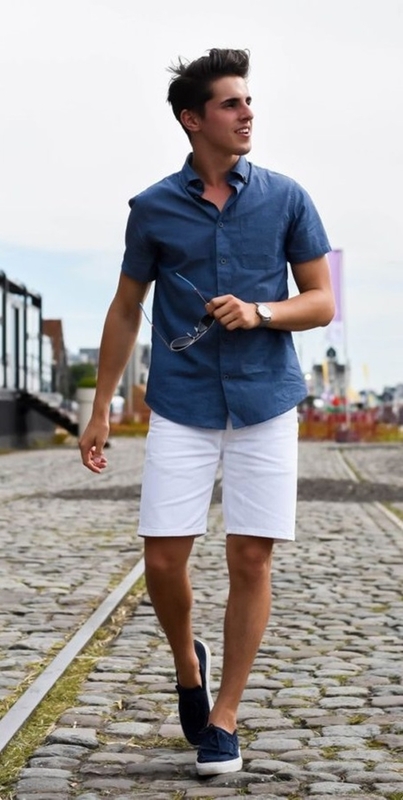 Shorts are the first thing that comes to mind when it comes to summer clothes. 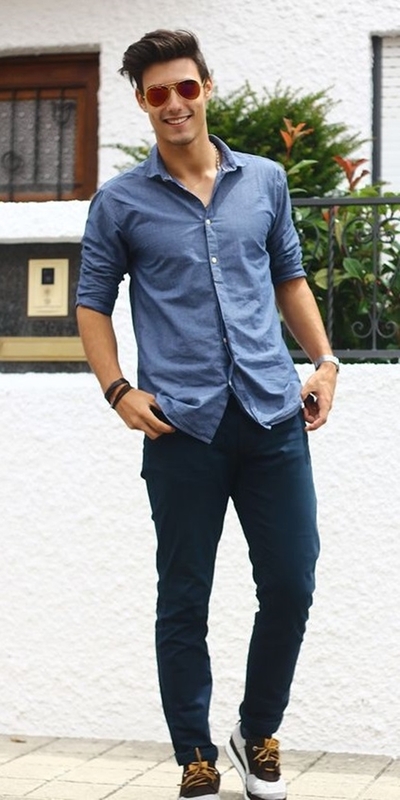 And since you are going for casual style, a t-shirt is the best solution to pair with your shorts. Shorts can be a bit difficult to pair with different things. But after a while, you will get the gist of it. Do you want a perfect summer wardrobe that won’t hit your pocket much either? Then skip the graphic tees and go for the simply stripes ones. The striped tees really cool no matter what you pair them with. Not to mention they add more flair with their patterns to your overall look. 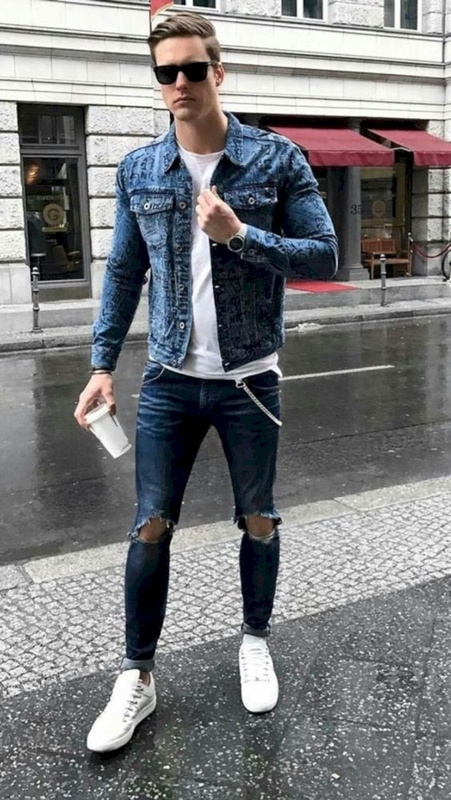 You can use your light denim jacket as your shirt as well. 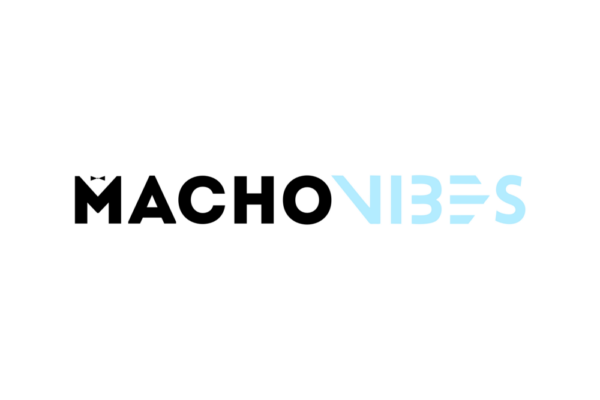 Here are few amazing ideas to style it in vogue. 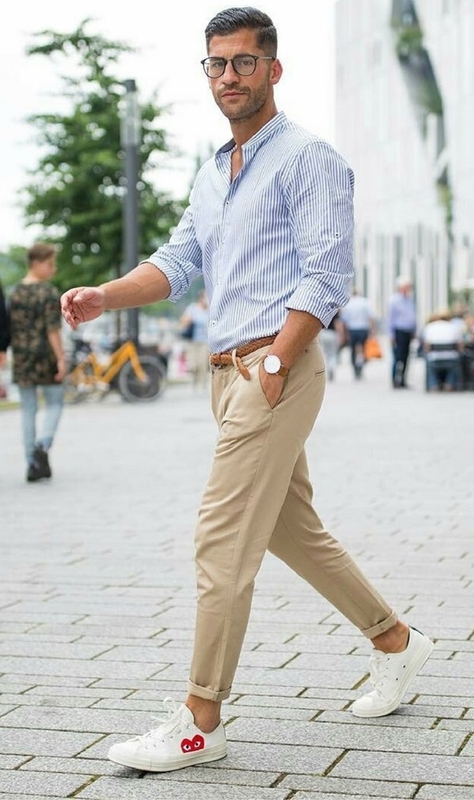 Chinos are way too different from your regular trousers. They are lightweight, comfy and look stylish. And the best part is that they come in varying colours. But don’t go on rampant crazy and pick colours that are so not your type. Stick to the safe ones such as olive, burgundy, brown, blue, grey, etc. As long as the colour is not a fluorescent one, you are good to go. 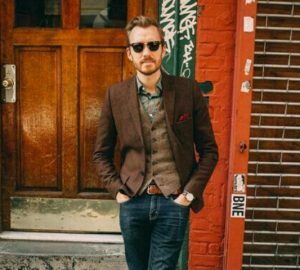 You can add more pizzazz to your outfit by simply skipping your regular belts and going for suspenders instead. Try them and you will know how great they look. Now is the perfect time to dig in your closet and take out those distressed and ripped jeans out. It is time for them to see the light of this summer day. 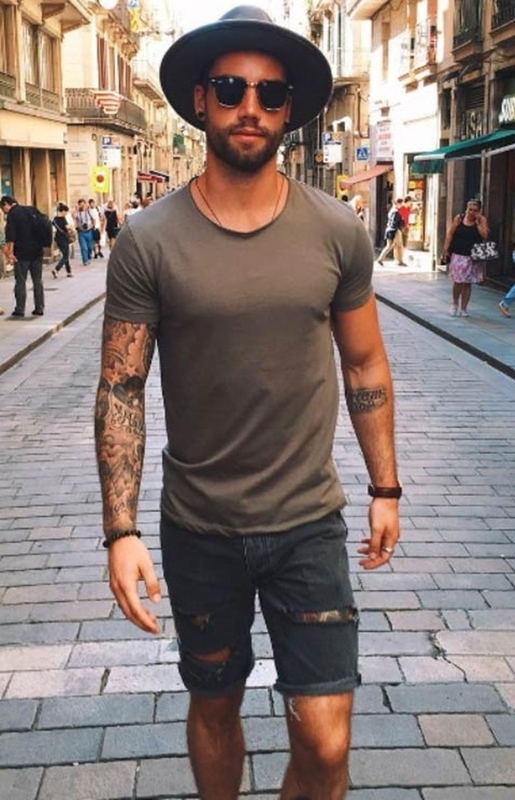 Now, I don’t think there exists a piece of clothing that does not go with perfect denim jeans. So you could pair anything with that as long as you are comfy in it. 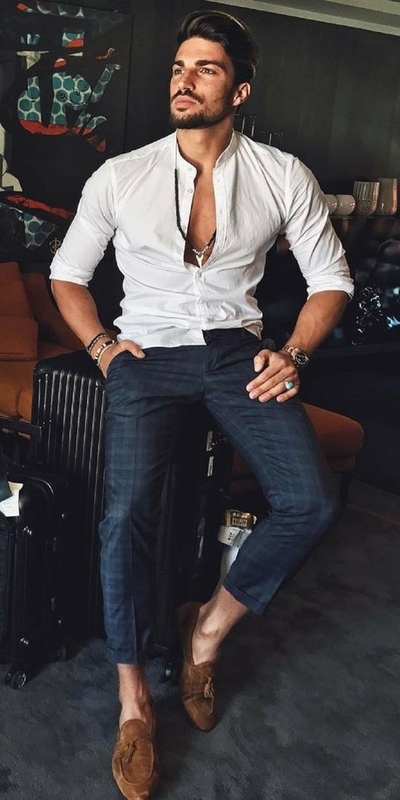 But you could add more flair to this outfit with some accessories like a baseball cap, sunglasses, and some really cool bracelets. For some beautiful and classy bracelets designs, you must take a look at these. 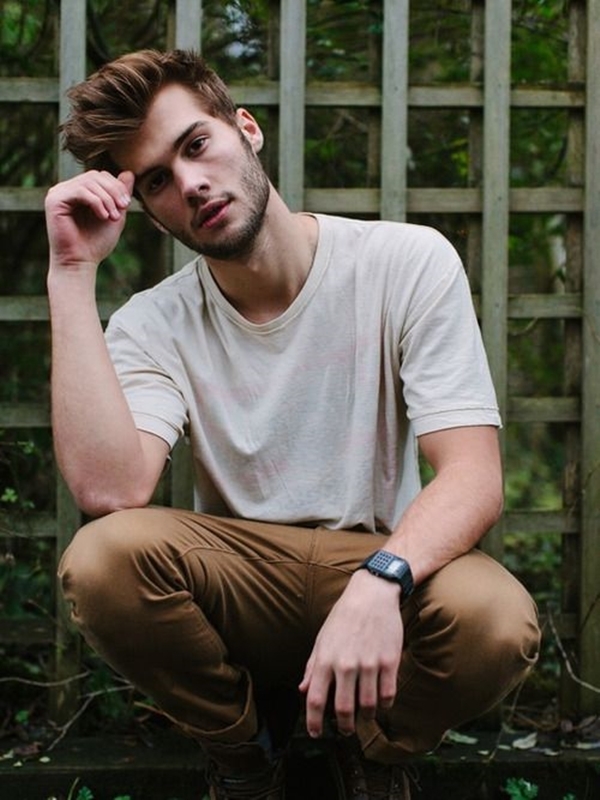 There’s no doubt that the joggers are very much comfy. So use it as a part of your outfit without hesitation. 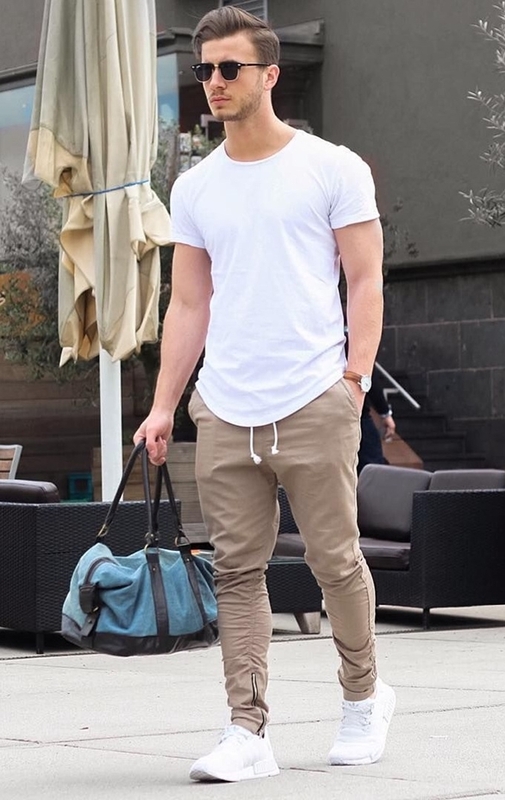 If you have doubts then, believe me, pairing joggers and t-shirts are very much in rage and looks pretty cool. 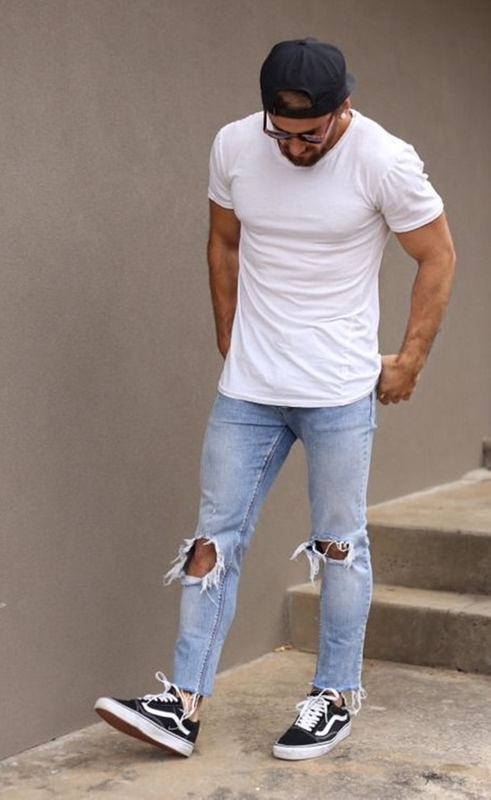 Add a pair of cool sneakers that will look contrasting with your outfit for a perfect effect. Have you updated your shoes or not? These new shoe trends will help you for sure. Believe it or not but patterns are really in trend these days. 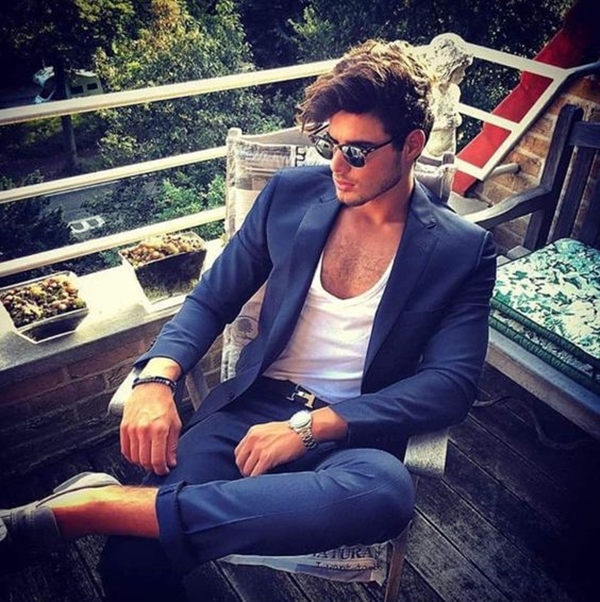 Men’s clothing has been evolved in the last decade and you can see varying patterns in almost every clothing piece. 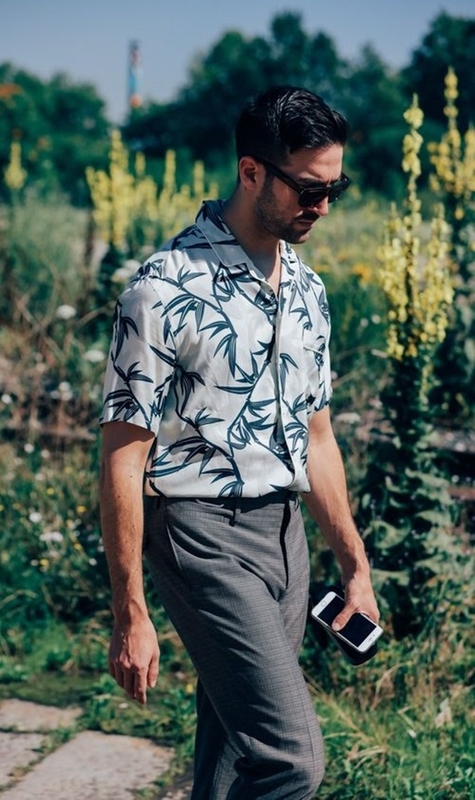 If you are willing to take risks then start with shirts having bold patterns but if you are not up to it then you can start with subtle patterns and floral prints as well. 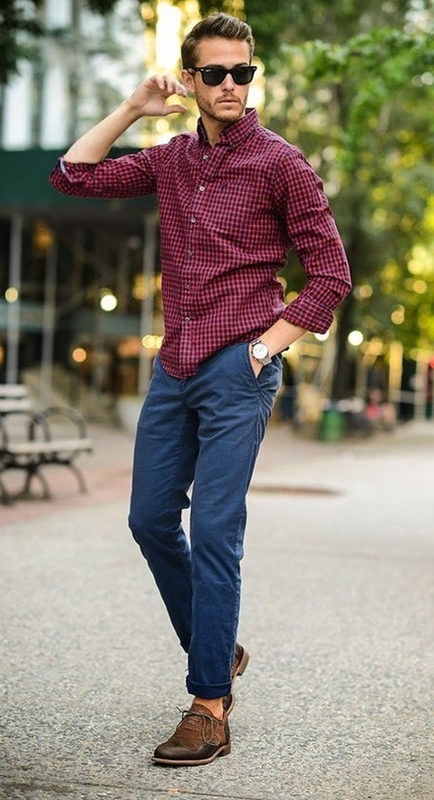 Check out more such casual outfits that you could help with in your wardrobe. The last thing you want in this scorching heat is to end up sweaty with an all-black outfit that will attract all the heat out there. It’s impossible to totally skip the black colour but try to reduce wearing it in summer. Summer is a great season to play with colours. 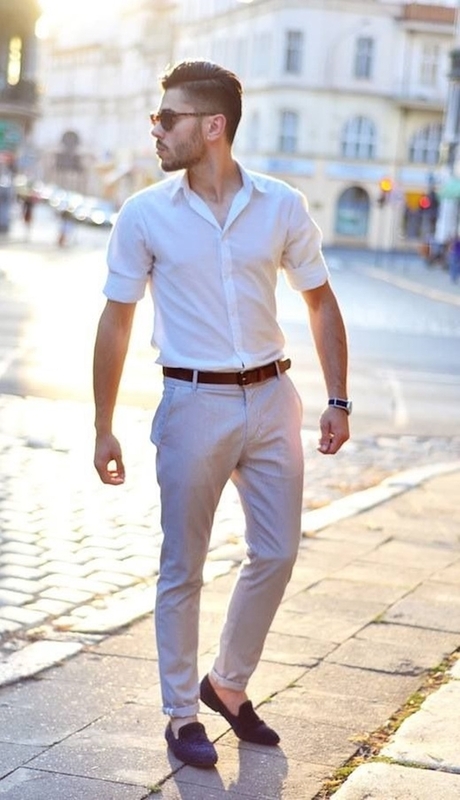 So choose light hues that will keep away the heat and will not leave you drenched at the end of the day. If you are blocking the black then it’s only fair that you wear white this season. By white, I mean all white that is all white shirt and trousers or a white tee and shorts. As long as you are covered up in all white outfits you are good to go. You could go monochrome with other colours as well. 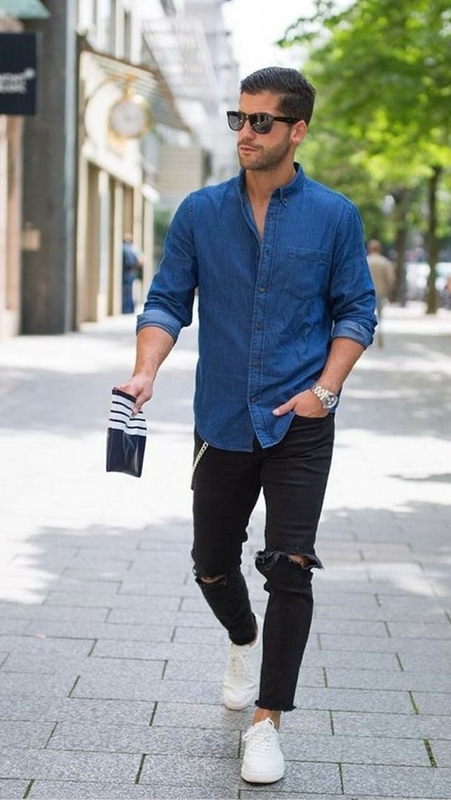 For instance, the blue colour is a great choice to go for in this season. 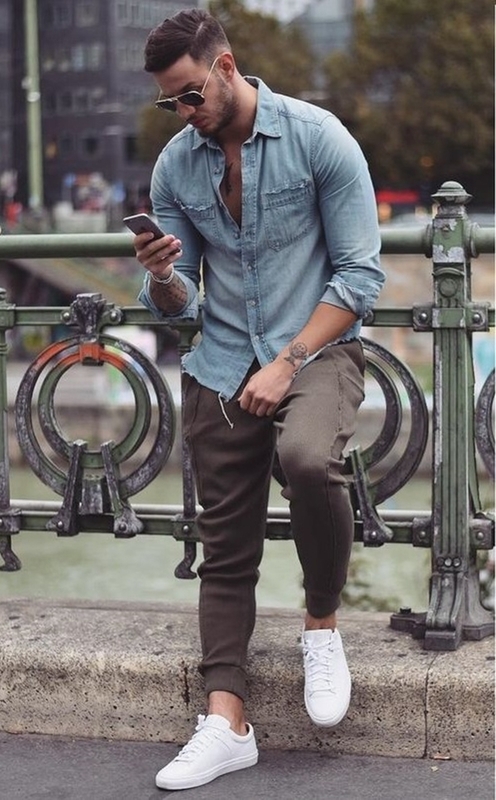 Also, if you want you can add contrast to this look with your shoes or other accessories such a hat or cap with a dark shade. Check out these cool and sleeks designs of watches that you could add to your ensemble. 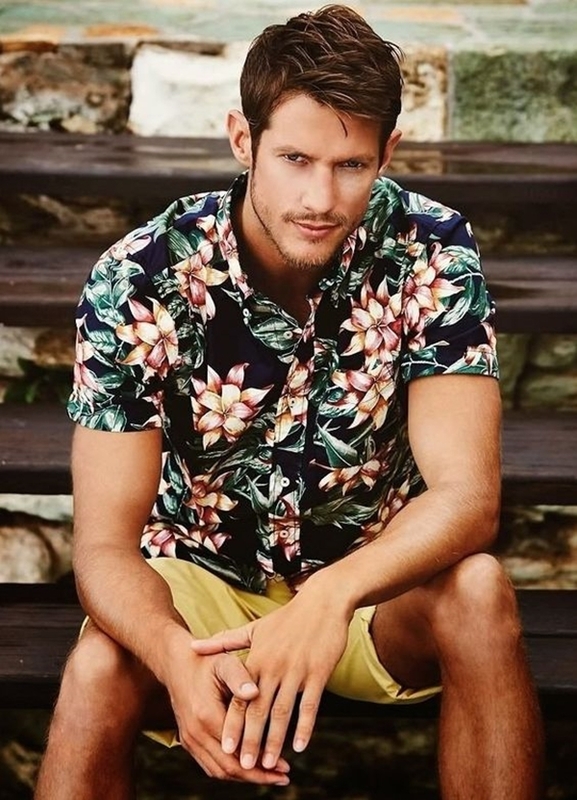 The summer might not be a great season for men since it doesn’t offer as many style options in outfits as it does to women. But where’s the fun in easy guys? 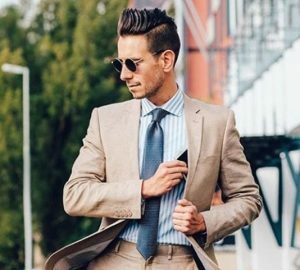 Men still thrive in the challenge and with these perfect wardrobe ideas, they will definitely look dapper dashing just make sure that you choose these fabrics and stay cool.